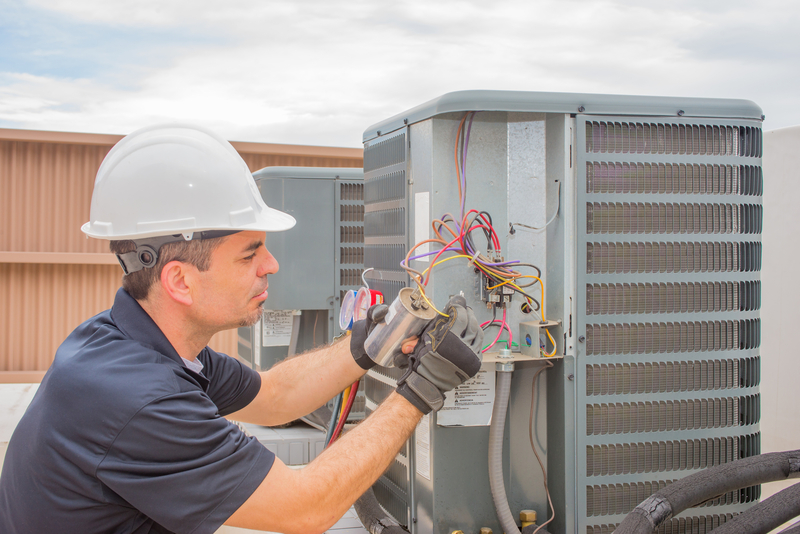 If your air conditioning unit fails to reach its cooling capacity, a problem with the outside portion of the system, or condenser unit, could be to blame. Several factors can restrict airflow, resulting in reduced comfort inside your space. Below is a brief guide to diagnosing causes for weak airflow and how to remedy the issues. The condenser unit is responsible for taking the heat absorbed inside your home and releasing it into the outside air. The dirt and debris blown around by the condenser unit can collect on the coils over time. When this happens, it becomes difficult to transfer heat to the outside air. With nowhere to go, the heat could flow back inside your home. Look at the unit to see if mud, fallen leaves, or additional debris is caked on the surface. If so, HVAC technicians can open the unit to see if the coils need to be cleaned. Condenser coil fins help release heat from the refrigerant. If the fins were bent during routine maintenance or when something hits the condenser unit, the resulting damage could restrict air from flowing through the system. The fins are located on the outside of the system and can restrict airflow if they are bent or crushed. Call a heating and cooling repair specialist to investigate, as they can examine equipment and replace the broken components. If condenser unit capacitors aren’t working properly, other mechanical components will also experience problems. It’s a capacitor’s job to store energy and feed it to motors during every cooling cycle. The extra energy gives motors enough power to run continuously. If capacitors overheat or short-circuit, they can’t supply motors with energy, resulting in diminished air quality. If you notice a burning smell near the condenser unit, call an HVAC specialist to investigate, as burnt capacitors could be to blame for the stench. If your air conditioning system can’t circulate cold air throughout property interiors, the technicians at David's Heating & Cooling in Bolivar, MO, are available to provide 24-hour assistance. They are the only professionals in the area with a master license in heating and air, which means they possess the skills to diagnose and treat any air conditioning system concerns. They will also share tips to improve system efficiency and lower energy bills. For a service estimate in Polk County, call (417) 326-4822. Visit the HVAC contractors online for special offers.